We are so used to seeing them on the track or in the pool that when some of the worlds best athletes go out wearing a well fitted suit, we forget just how sharp they can look. 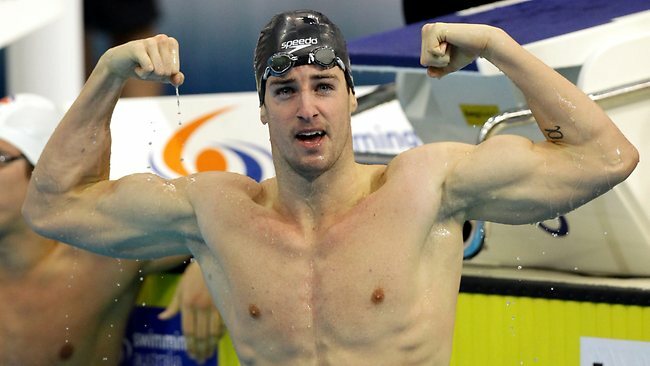 Take Aussie Olympic silver medalist James Magnussen. We have watched him firing on all cylinders in the pool. But James cuts a stylish physique, looking trim in this slim fitting suit with open shirt. We all know Michael Phelps for his record breaking swims. But Phelps looks great in a classic black suit and tie ensemble befitting of the champion that he is. Usain Bolt answered his critics with one of the best gold medal runs in the 100 meter sprint at the 2012 Olympics. But the fastest man in the world also looks mighty sharp off the track in a perfect fitting suit. Find your own inner style with one of our great looking suits from our online store.